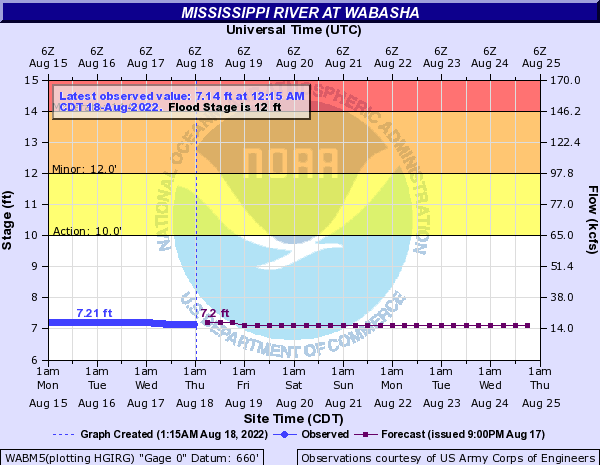 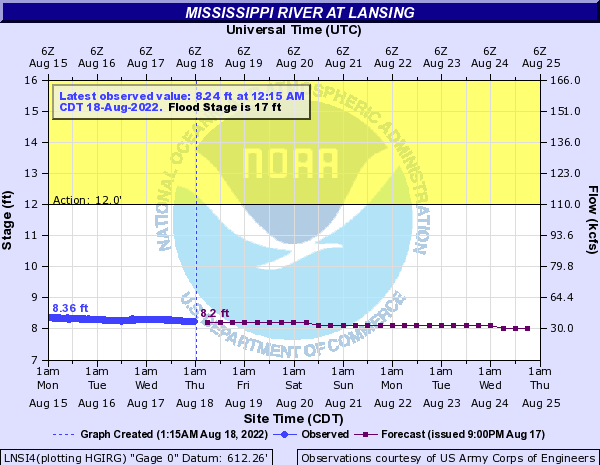 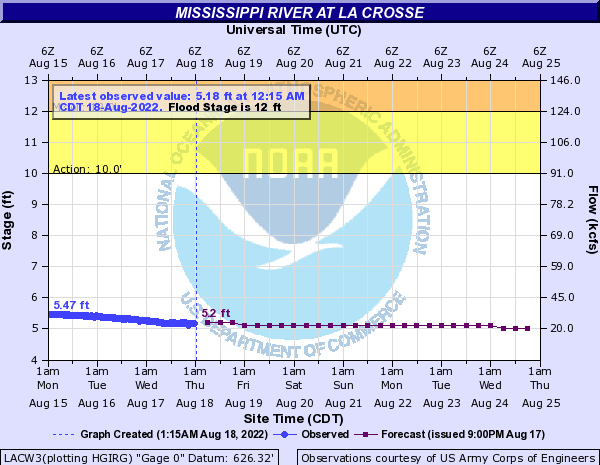 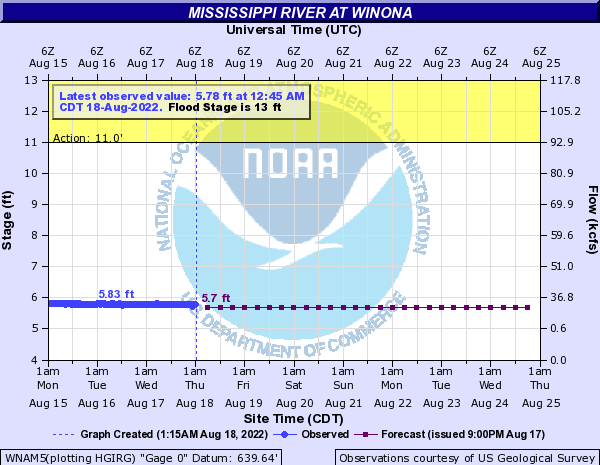 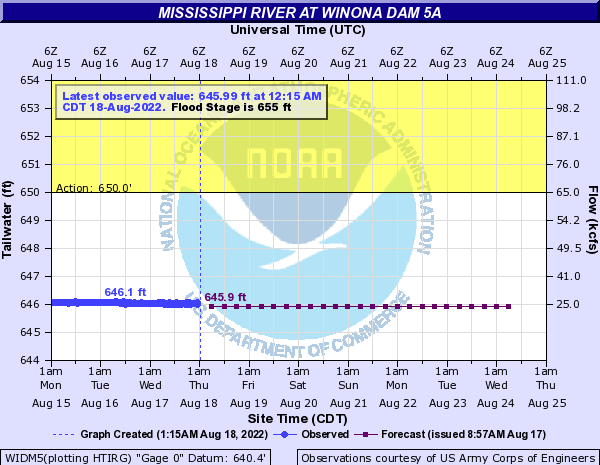 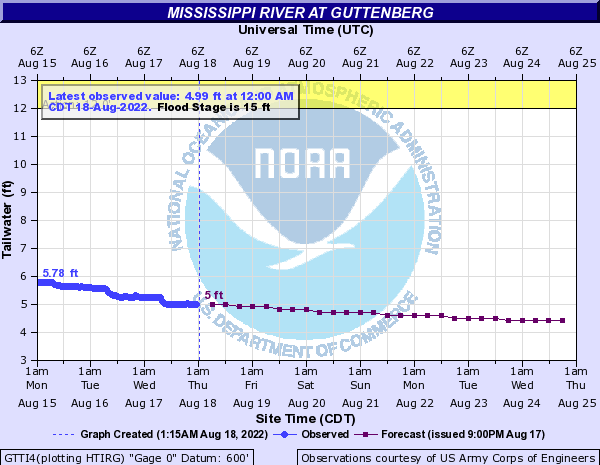 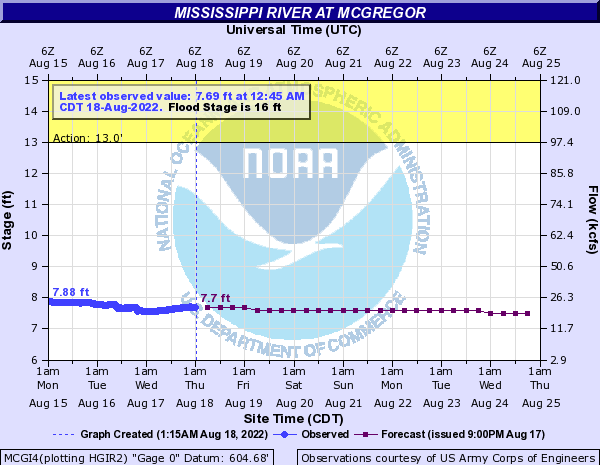 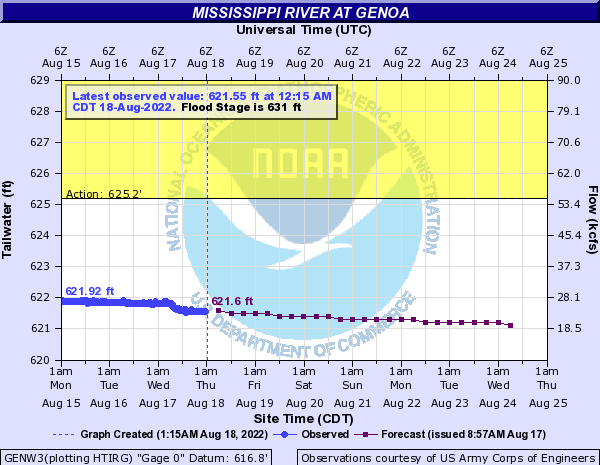 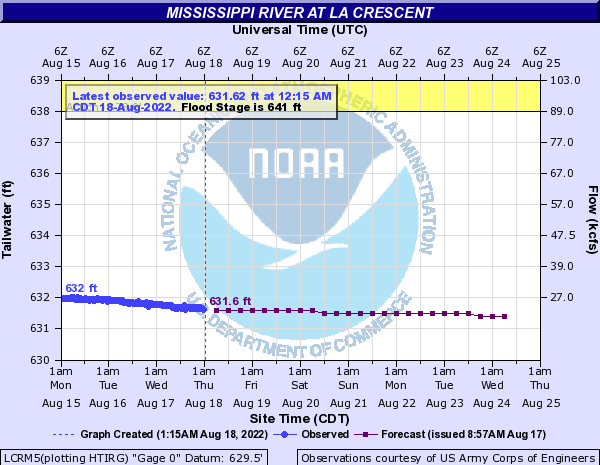 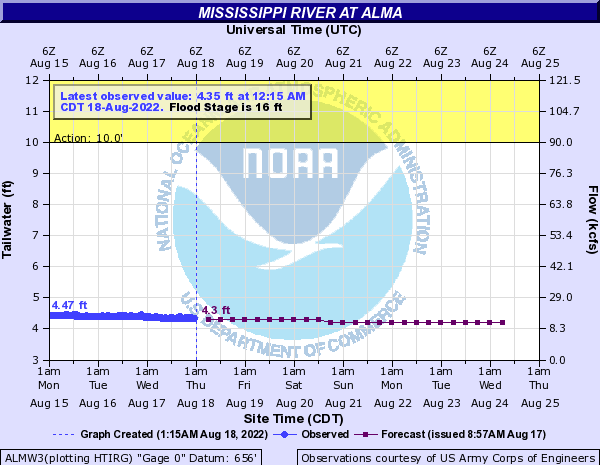 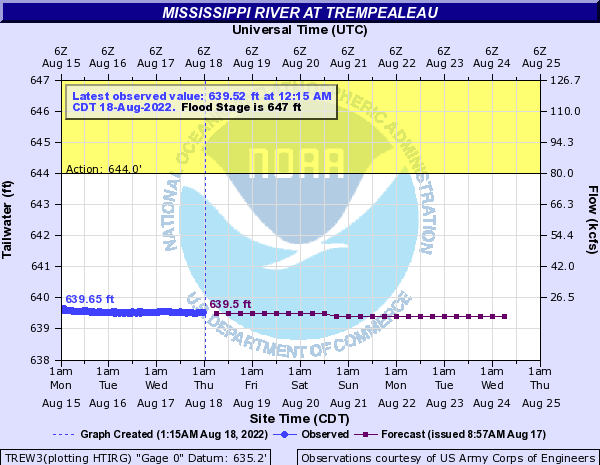 The graphics below will provide up-to-date river levels and forecasts for the main stem of the Mississippi River. 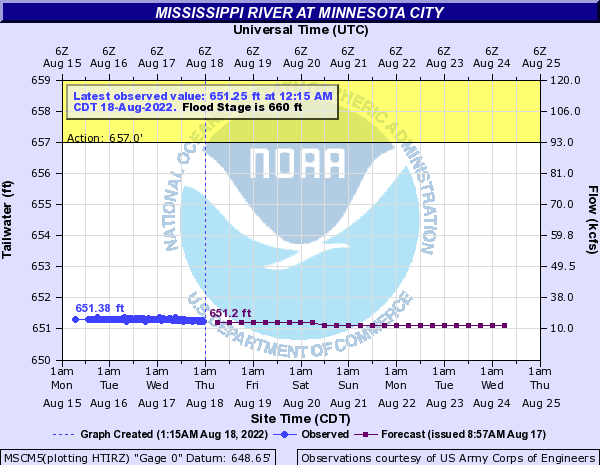 For a large scale view of the hydrology situation over the Upper Mississippi River Valley region, check out the Hydrology Monitor. 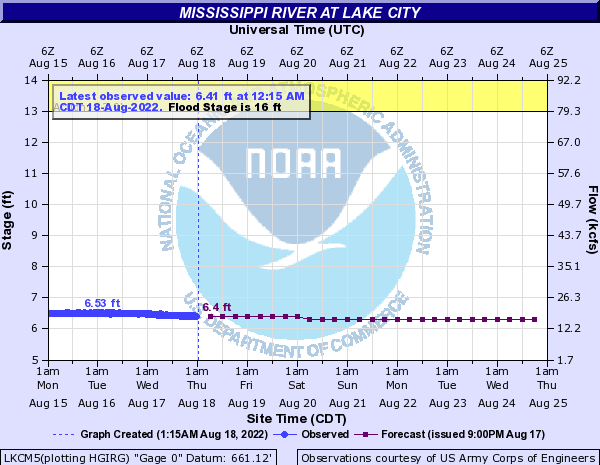 For more detailed information, consult our AHPS (Advanced Hydrologic Prediction Service) pages. 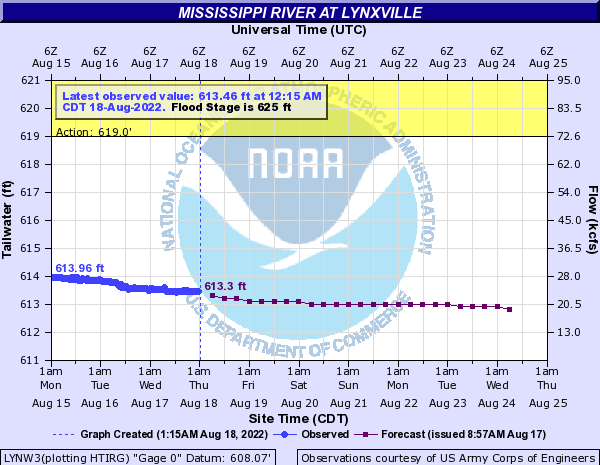 You can also click on the "more details" for more information about that location.